Discussion in 'Transformers Toy Discussion' started by VE Telus, Mar 28, 2008. A while back, there was a surge of G1 Cyclonus figures that some claimed were leftover Chinese stock, and others claimed as a KO. BBTS had them, and pulled them after they were informed, and these Chinese figures were always somewhat dubious. 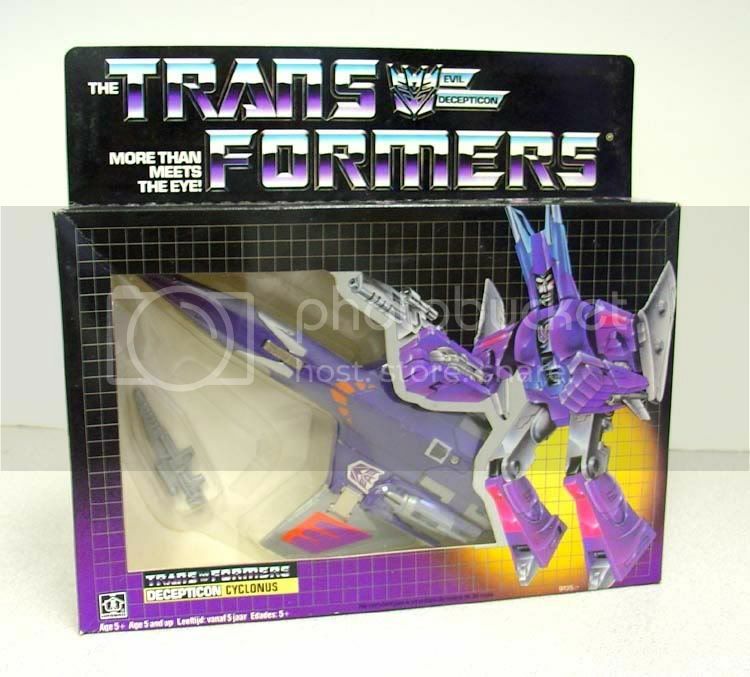 I just bought the Cyclonus pictured below. To those who know, is it a legitimate version, or the supposed KO version? Any suspicions? 1) You bought the European release from 1986. There was a dead stock find recently. That's why they're relatively cheap and easy to find. Note the use of 4 languages on the box. It would be nice if there was a dead stock find on the Targetmaster versions of them. i always wondered what kinds of dead stock were still floating around somewhere in the world...i wonder if we will ever see anything else like this on a grand scale especially with larger figures like metroplex, scorponok and trypticon. i would love to see some headmasters and target masters for sure though. 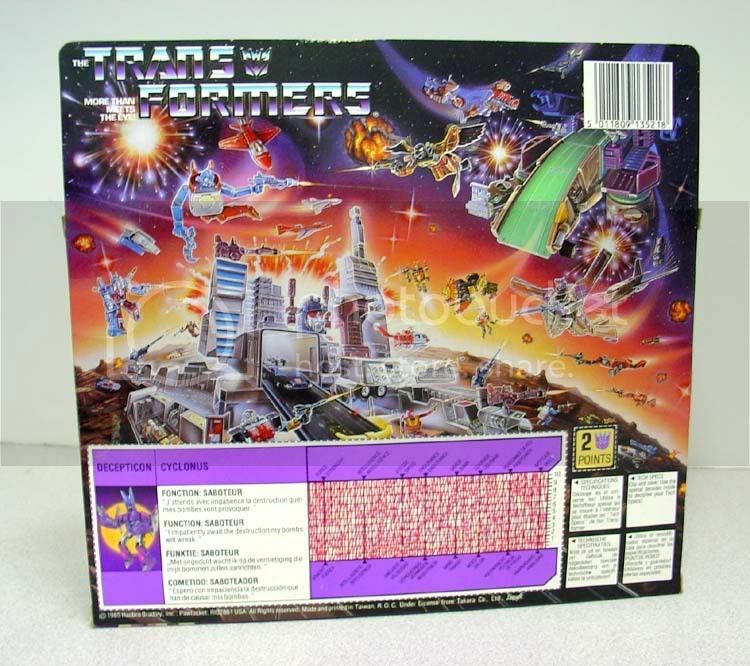 Out of curiosity does anybody have any info on a G1 Soundwave like this? I have him and like your Cyclonus the packaging has the same layout with the 4 languages and says "Made in France" with all the proper Takara/Hasbro stamps.